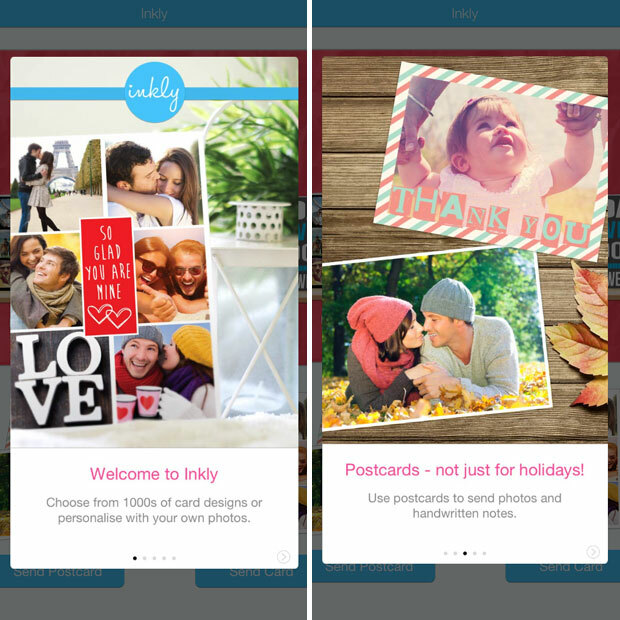 Inkly is an app that lets you created a personalised greetings card or postcard in minutes. 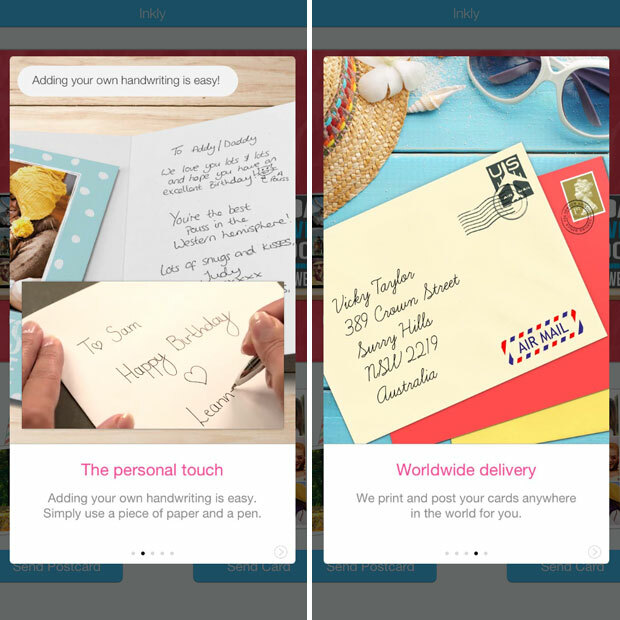 You can choose from 1000s of different designs, neatly organised by types of cards and occasion and then add your personal touch to the card by uploading your photos (you can add filters too) and — here’s the most amazing bit — you can even add your own handwriting! All from the comfort of wherever you are, by just using the Inkly app. The app is very easy to use. It’s very clear and nothing is difficult. It saves your work to so that you can resume to the card you were creating if you get interupted. Many apps and photo website do not do this so this is very good. 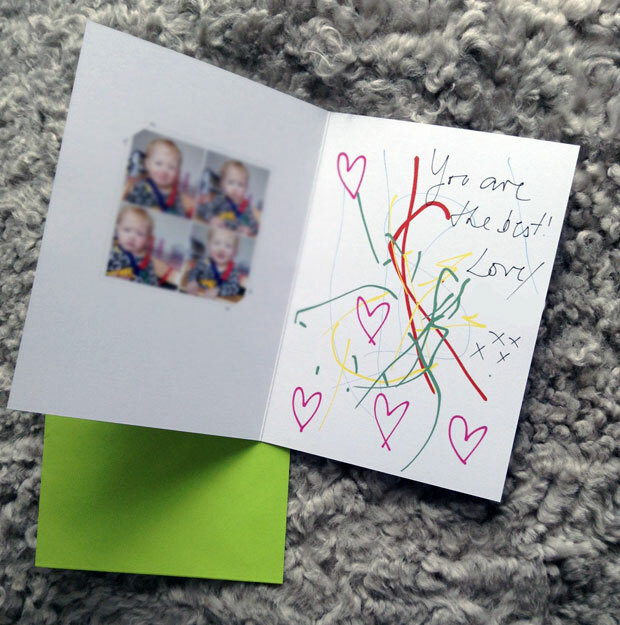 You can add your own handwriting to the inside of the card and even to the envelope. You also get to choose what colour you want the envelope to be and when the card should be printed and delivered, meaning you can order lots of cards in advance to be delivered throughout the year. If you connect your Facebook account, you can even get reminders sent to you for your friends’ birthdays with card suggestions. Inkly print the cards in their closest location to the recipient to make sure the card arrives as quickly as possible and to save money on postage costs. You can have the card delivered to the recipient or your own address if you wish to deliver the card by hand. When adding your own handwriting to the card, you simply write with your finger on the screen of your phone or tablet. You can choose from different coloured pens of different thicknesses too. My daughter (16 months) drew some lines in different colours and I added a message and some hearts. It looks great and like we’ve actually drawn on the paper. You can also add your own handwriting by writing your message on a piece of paper and taking a photo of it. You can also just have typed text if you prefer that. The print is great quality (I’ve blurred my daughter’s face for this post), the card is thick and it arrived really quickly. I’m very pleased with this lovely card and I’m sure it will be treasured by my husband/my daughter’s father forever. I can’t wait to give it to him on Father’s Day! 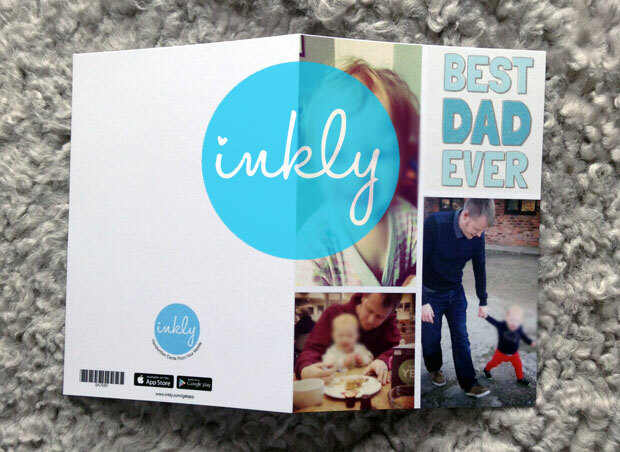 Order your personalised Father’s Day card with the Inkly app. Download it and read all about it here. I was sent a code to create a free card for this post. As always, all my reviews are 100% honest and all thoughts and opinions are my own.